The 2013 season is over, and an exciting 2014 is just over the horizon, so here we present a review of a very successful and event filled 2013. While 2012 was notable for its rain, 2013 was completely the opposite, with the sun blazing (or at the least the rain absent) for the best part of the summer. Because of this we were able to play an unprecedented number of games at senior level, whilst being affected by a lack of players in our development teams. The First XI, captained by Stephen Broom, played in the East of Scotland League 1st Division which was to prove a greater challenge than the 2nd Division not only for the standard of play, but for the lack of experienced players mid-season. But for the gaps in the team we would have finished a lot higher than 7th place (out of 11), nevertheless we stand well clear of the drop zone, and saw some fantastic performances with bat, ball and hands. 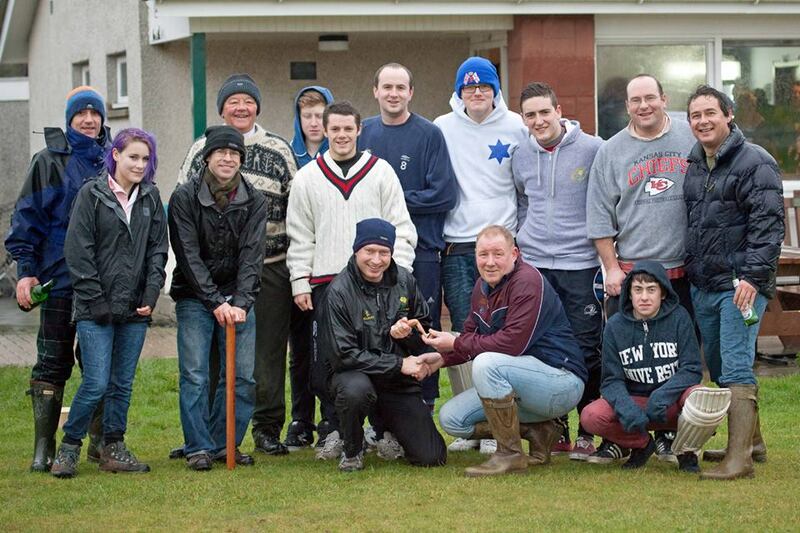 Chief among these was the prize-winning batting of Scott Ruthven who scored 668 runs, including 2 centuries, followed by captain Broom on 469. Bowling honours were spread pretty evenly among the top players, Elliot Ruthven being the notable improved performer putting in some frightening pace towards the end of the season. Unfortunately injuries put paid to the, it turned out, 1st team careers of two of our finest bowlers—but it looks as though we have some great talent coming through, not least young Craig Paterson, whose batting and fielding were excellent. The Second XI (“A Team”) captained by Scott Hunter, played their socks off as a team, putting in some incredible performances both collectively and individually. Elliot Ruthven was the pick of both bowlers and batsmen, as well as vice-captain, but great knocks by Scott Marshall, Craig Paterson, a freak bowling spell by Thomas Goodman (5 for 6) and a match where every St Boswells player who picked up the ball took a wicket, as well as numerous heroic fielding performances, helped secure the Border Sunday League for the second time in two seasons. 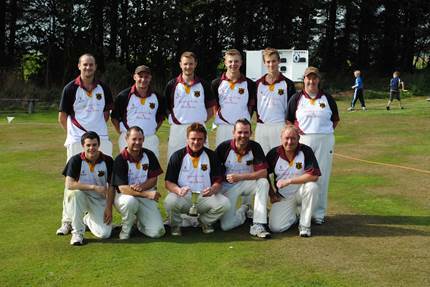 The Border 20/20 competition was dominated by St Boswells and Gala, both sides cleaning up their relevant opposition teams, and facing each other in a match that, even weakened, saw St Boswells victorious, and avenging their loss to Gala in 2012. St Boswells Ladies once again played in the Scottish Womens League and Cup competitions. Many of the experienced players who made up the original team in 2011 have since left for university and work, but with the hard work of Kathryn White and a number of willing parents, the young side (some as young as 10!) played well to finish 3rd in the league and reaching the semi-finals of the cup. With experience and a couple more players the team looks set to challenge well next year. Youth Cricket suffered badly in 2013. The well-meaning move in training from Tuesday to Saturday saw a big drop-off in players, many of whom also play rugby and football in preference to cricket, meaning it was not possible to field any teams in 2013. Training will return to Tuesdays in 2014, and there is a major Development Plan in progress to try and offset the lack of support from the regional authority, as well as the promise of a Borders Regional Youth Team once again. 2013 was also the year of our second tour to St Lucia, where a rag-tag team of sun-worshippers took on the might of the local clubs with mixed results, but again some wonderful memories and close links were made. Off the pitch, the club has seen an excellent financial year, helped by well-attended social events and match days in the sun. We are also planning changes to the clubhouse, and all sorts of off-season events to keep the club in the spotlight. Plus we have a few other surprises up our sleeve for what is bound to be an exciting 2014. 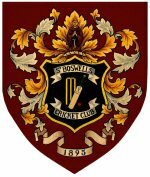 We are still looking for someone to take up the positions of Chair and Junior Convener – both Ali McIlroy and Gerald Smith have retired from cricket duties. Please contact the club if you are interested. Ross Graham continues to manage sponsorship. Keith Farnish is Child Protection Officer. The First XI has joint captains for 2014, duties being shared by Kathryn White and Craig McNeill. St Boswells “A” will be captained by Steven Laidlaw in 2014, assisted by Elliot Hunter as vice-captain. Other Management Committee members are Ross Graham, Dougie Hume (St Boswells AFC representative), Fiona Paterson and Craig Paterson. A big thank you to everyone who helps keep the club going – we couldn’t manage without you. Training normally starts at the beginning of April each season, depending on weather. Indoor training will be organised when time permits. – Adult Training is every Tuesday and Thursday during the season, from 6pm to dusk. – Ladies Training is on Friday 6 – 8pm. Once again a big thank you to all our sponsors, members, helpers, officials, players, parents and supporters. To continue the good progress we always need more people to fill these roles. Whether you fancy scoring, umpiring, generally just helping out, or even just want a drink in the cheapest place in St Boswells, please contact us. 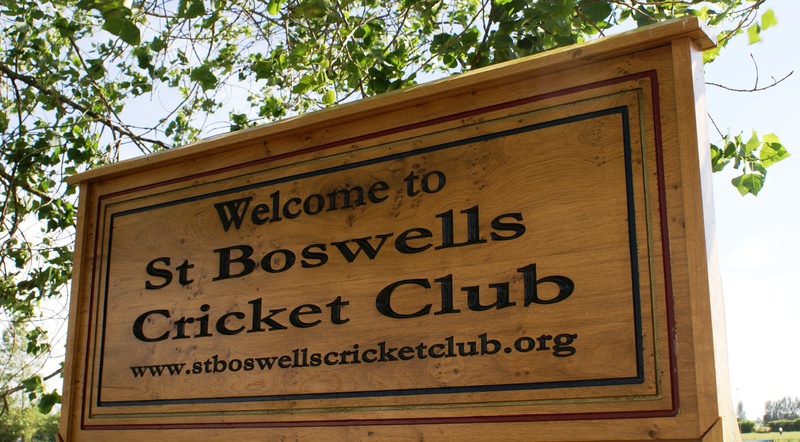 We are proud to consider the club as part of the local community, so if there is anything you would like us to be part of then don’t hesitate to contact our Secretary at secretary@stboswellscricketclub.org.